Relocation is definitely one of the most exciting projects you can have in your life. And it doesn’t matter if you are planning a new start, or moving for a better job. It is simply something anyone should enjoy as much as possible. But, it will not be an easy job, and that is for sure. In order to have a safe and smooth relocation, you are going to need a lot of resources. And those are time, money, nerves, and help. It is a very demanding project, and you should take it seriously. There will be many questions, for sure. 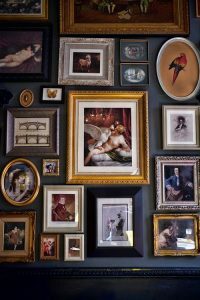 How to find good movers, when to schedule a moving date, how to secure artwork for shipping, and similar. 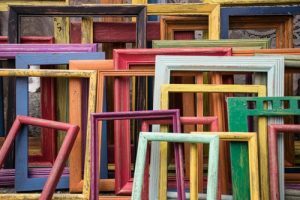 You will need to research a lot to find answers to these questions, and here we’ll help you with tips on how to pack and move picture frames. Before anything else, you will need to learn about tasks that will be part of the upcoming relocation. This is particularly important if you are moving for the first time, or moving internationally. For instance, if you are relocating from Japan to the US, you need to be aware of many things such as moving procedures, necessary documentation, and cultural differences. And for this, you need to sit down and spend some time investigating your challenges. Maybe the most important part of the relocation is to organize a successful and stress-free move. You need to do whatever it takes to make that happen. Moving internationally with ease is possible, but it is your responsibility to organize everything. Therefore, schedule some free time for researching, and do not let anyone or anything distract you during that task. And write down everything. Once you are done with the research, it is time to plan your actions. From finding the best moving company to packing and unpacking. Make sure you know when and how you will pack and move picture frames, furniture, clothing, and electronics. You’ll need different types of packing supplies and packing techniques for these items. Which packing supplies do you need in order to pack and move picture frames? You need to realize that these supplies are not cheap. On the other hand, they are very necessary for this task. If you want to pack and move picture frames, you will need all of these, hence make sure you have enough money for this shopping. Keep in mind that some of these items you can get for free, or borrow from a friend. Just be aware that, in case of blankets and towels, there is a possibility they will get ripped or damaged. Therefore, use only old items or ones you are not emotionally connected with. First of all, you will need a lot of patience in order to pack and move picture frames. What you need to do is to clean any dirt or dust from your frames, and wrap the edges carefully with packing tape. This way you will secure the edges from scratching. If there is a glass part, tape it with a couple of stripes as well. Next, you need to wrap the whole frame with packing paper. 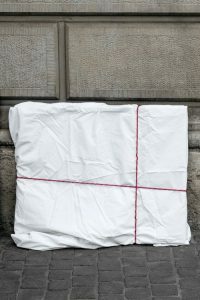 If there is an empty space between the picture and the paper, fill it with packing foam. Finally, wrap the whole package with air bubble wrapping. You need to do this for each frame separately. Once you do that, it is time for putting pictures together before packing a moving truck. In case you have a wooden crate, use it for this part. If not, the ordinary moving box will serve just fine. What is important is to place blankets or towels between picture frames. This is an extra security measure, and make sure you do not skip it. Finally, label each box with this goes up and fragile labels. It is very important to label these items, as it will help movers with loading and unloading. Once moving truck arrives, make sure you explain to your movers which boxes contain fragile items. This way, they will know how and when to load them. More importantly, they will be aware of breakable things and will treat those boxes more carefully. As you can see, you will need some time to pack and move picture frames. Make sure you have enough time for this task, as it requires some sort of preparation. Therefore, do not let these frames to be among the things to pack last. This way you could end up with some damages, and that is not something you would like. Especially if you have some artwork or priceless family pictures. Keep in mind that it is important to have insurance for these items. Even though it will not guarantee a hundred percent safe transport, you’ll feel more confident. Always label your items and boxes, and tell your movers what they are dealing with. If they know something is fragile, they will treat it more carefully. And that is it. Now you are ready for this big task, just make sure you have everything you need before you start.